Free Workshop on QuickTime Screencasting & iBooks Author! Hands-on Workshop: Bring a MacBook & an iPad! RSVP / registration not required, but an email is appreciated. Please email jenniemisong@gmail.com if you plan on attending. This will help us know how many to expect. Thanks to those who attended my previous Apple Store presentation; I enjoyed meeting you! 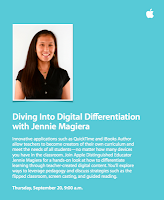 On Thursday 9/20 at 9:00am I will be back for another session - this time about QuickTime screencasting for video differentiation and creating your own content with iBooks Author... and it's free (and open to all)! The next presentation will be more of a hands-on workshop. Bring your MacBooks and iPads as we'll be creating your own digital content for immediate use in your classrooms! If you have curricular materials you'd like to digitize and/or create lessons with, bring those too! I know it's a schol day and wish the timing could be better... perhaps ask your principals for a PD 1/2 day :)? Hope to see you there! Session description: Innovative applications such as QuickTime and iBooks Author allow teachers to become creators of their own curriculum and meet the needs of all students—no matter how many devices you have in the classroom. 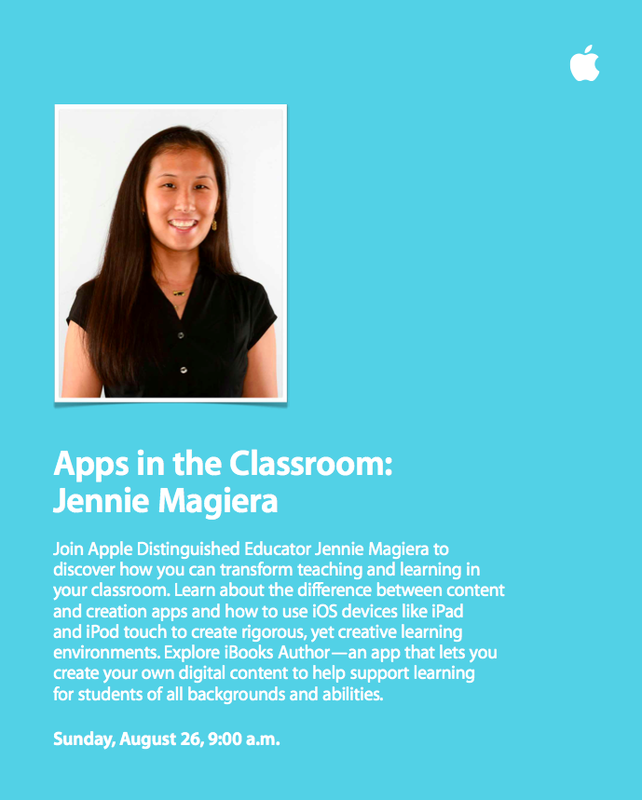 Join Apple Distinguished Educator Jennie Magiera for a hands-on look at how to differentiate learning through teacher-created digital content. You’ll explore ways to leverage pedagogy and discuss strategies such as the flipped classroom, screen casting, and guided reading. I am lucky to have an awesome PLN that shares great finds with me... so in the spirit of paying it forward, I would like to pass on these great finds to you. Enjoy, and pass it on! Have a great find you've seen recently? Please share in the comments below! It's a robot! It's a camera man! It's... Swivl! This little bad boy is a mount for your iOS device and pivots to follow a remote you wear. So the camera follows you as you move up, down, side to side. Check out the video to see it in action. Wow... it's definitely on my wish list (Labor Day present?). Thanks to my colleague, Chris Bruggeman, for sharing this fun tech tool with me. Aditi Rao, a tech integration specialist from Texas shared a genius list of 10 ways to start off your classroom leveraging digital learning. From Pinterest to QR codes, this list has a myriad of ways to not only get your kids' feet wet with technology, but also get to know each other at the same time! Thank you so much to amazing Autumn Laidler for sharing this resource! 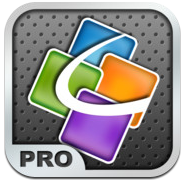 Sick of iPad workflow issues? Tired of having kids upload all their docs to a Dropbox account, only to delete each other's work? Or getting 100 emails everyday with kids turning in Keynotes or Pages docs -- only to email the work back with feedback and encounter version control issues? Not to fear! Showbie is here! 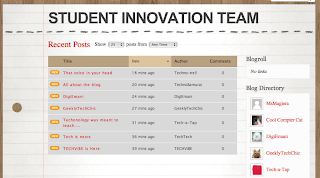 It creates a WebDav server and gives each of your students a unique login. 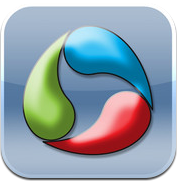 (The process seems similar to that of Edmodo, for those who are familiar with this site.) Once the kids create any product in an iWorks app (Pages, Keynote, Numbers) or any app that allows for WebDav upload (iAnnotate, iThoughtsHD, etc), they login with their username and can upload the file. Teachers can then see each student's work on their teacher laptop or iPad, make audio or written feedback and return the file. There is automatic copy control, so teachers don't overwrite student work. The student will see a partitioned file folder with their work separate from teacher comments. So. Cool. Thank you to John Shoemaker for this little gem! Last spring, a team from Amplify came to visit my classroom and capture some of my kids in action. They put together this lovely video about our philosophy regarding digital learning pedagogy. My students were so excited to be caught on film and I was glad to talk about my favorite topic :). Thanks, Amplify, for sharing our story with the world (and for inspiring me to get my bangs cut like this again)!